Hostgator- Shared: The best balance of low price and quality performance and support. Liquid Web – VPS: Unbeatable support and rock solid quality of service. wpEngine – WordPress Hosting: Ideal for WordPress sites and those unfamiliar with C-Panel. Rapisite – Affiliate Platform: Affiliate experts. Rapisite includes SEO, image libraries and more. GreenGeeks – Environmental Impact: Reduce your carbon footprint and have great performance. Affiliate marketing is a great way to earn money online. Build a niche site, become an authority in that domain, drive traffic to your site. Monetize your business by referring your traffic to quality companies that pay you a commission on sales or leads. It is a simple recipe that requires great content, perseverance, quality tools, SEO and backlink strategy, and good hosting to pull off. For people who want to get straight to the conclusion, what are the best web hosting companies for affiliate marketers? Affiliates need to maximize every engagement with their website. Page load time is important to not loose impatient visitors. Pages need to ideally load in less than 1 second. Also, Google’s ranking algorithm factors in the site performance and bounce-times when determining your search result placement. As a new affiliate, you will have many tasks to juggle. WordPress themes and plugins, content creation, list building, backlink building and more. There is little reason to also be a system administrator for your WordPress site. Choose a host and hosting plan that provides daily backups. In the case of WordPress, your content and hard work reside in a database – not the file system. It is important that your host is backing up your database as well as the file system. Of course, you want the most reliable and best performing hosting plan that your budget allows. But, you will have hosting issues. You will find yourself out of your comfort zone. The quality of your support is what will make the difference when the inevitable happens. The first support consideration is your method of communicating. This can be a personal and situational item. Some people prefer to have telephone support with the shortest wait time. Perhaps you are more mobile and working in a number of locations so chat works best for you. Email is usually left for escalated issues and tasks that need tracking and updating. Some hosts like GoDaddy have only phone support for their shared hosting plans. That just does not work for me. I have a strong preference to chat support (assuming the response is quick) with email used when a problem needs escalation or a more detailed examination. Also, will the support group help you with WHM, FTP, CRON jobs and other non-WordPress tasks? Do you have daily backups that can be quickly restored? Will they migrate your existing sites? Can you have multiple domains? Are additional domains add-on domains, sharing the main C-Panel, or do they have unique C-panels? The best web hosting plans will also have good hosting affiliate programs. A great strategy for choosing a hosting company is to go with a premium plan – don’t get the lowest cost plan. Consider managed wpEngine for instance or a VPS server. Then tell your story to your audience. Write-up your experience with your new platform. Talk about transitioning from a lower cost plan. And of course, add an affiliate link. You are an affiliate marketer, join the hosting affilaite program from your proide and market! When you look at hosting plans you will likely see the terms; unmanaged, managed and managed WordPress. Unmanaged servers are just what they sound like. The hosting company provides a server or VPS with the operating system installed. Some providers will have web server software and other core components. But you purchase these plans typically because you want the control to add your target environment. There will be little support beyond hardware issues and reboots. You will do your own backups, security patches, etc. Certainly not for a first-time affiliate marketer. Since almost all affiliate marketers will either not have the technical capabilities or time to operate their own unmanaged server we will focus on managed web hosting offerings. Server Monitoring – Managed administrators monitor your server for issues. A corrupt database, memory issues, timed out CRON jobs, etc. They will intervene and fix these before they lead to extended downtime. Security – Security is a major concern these days with sites getting hacked “just for the fun of it.” Little comfort should be felt from the fact that you have no customer details or any other information of value. A managed service provider should be virus scanning, spam filtering your email, applying OS security patches and keeping a solid firewall between you and the bad guys. Full Back-up and Storage – It will happen. You will need to restore from a backup. Whether you deleted a database or got hacked, you will need to restore your site at some point. Your managed service provider doing at least a daily backup of both your file system and databases is key. Server Configuration and Maintenance – Modern hardware and networks need to be fine-tuned to your site’s unique needs. This is one of the key advantages of managed WordPress providers. You can get the same performance from your VPS service if you provision the server appropriately. Configuring memory, SSD, caching; a managed service provider is like having a high-powered systems architect on your team. Most affiliate marketers use WordPress as their content management system (CMS). 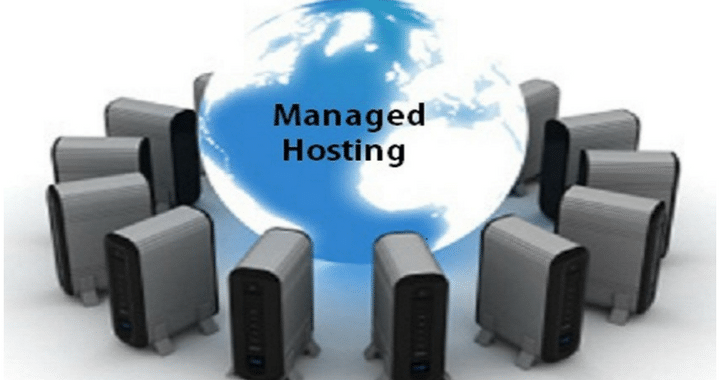 Many hosting companies provide managed WordPress plans. Some of these companies like wpEngine and Kinsta have WordPress hosting as their core business model. Many traditional hosting companies provide managed WordPress as an upgrade to a managed VPS plan. The advantage of working with a managed WordPress provider is performance and reliability. You have an environment from hardware to server level caching that is finely tuned for WordPress. Google is using site performance in your SERP outcome so performance definitely matters. A dedicated server is an ideal situation for technically savvy users with unique requirements. Like the unmanaged server, a dedicated server is rarely an option or need for an affiliate marketer. We will focus the guide on VPS/Cloud Hosting and Shared Hosting. 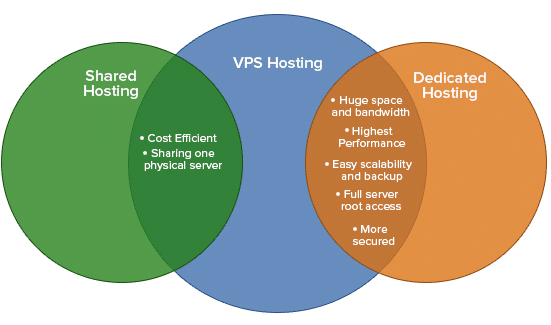 A Virtual Private Server (VPS) bridges the two extremes of shared and dedicated hosting. With a VPS you have your own virtual machine on a shared host. This gives you the benefit of control over your operating system, security and memory settings; at a lower cost than a dedicated server. With a managed VPS you have your own php.ini file and total control over your environment. A managed VPS should feel like a dedicated server with a personal system administrator. Managed WordPress hosting can be thought of as a specialized VPS hosting plan. The key advantage is usually the performance gains of a VPS tuned for WordPress. With a managed WordPress hosting service, your entire server is tuned for just running WordPress. From memory to networking software. Caching is a great example of this. Caching can dramatically improve the speed of your website. There are WordPress plugins for this, but caching at the server level is much more efficient. Since every site on the server is a WordPress site you can set up this server-level caching. This would not be possible in a traditional VPS where some virtual hosts might be running Drupal or no content management system. Cost – A VPS hosting account is less expensive than a dedicated server hosting plan and prices have come down. Scalable – Start off with the minimum amount of resources, You can easily increase your hosting plan as you grow. Control – More control over your virtual server than you do with shared hosting. Access – You will likely have root access and the ability to use scripts. Options – Ranges from semi-managed hosting where the web host handles some maintenance and fully managed services (recommended). If you are experimenting or doing research before you commit to your online business, by all means, consider a shared-hosting plan. If you are building a new affiliate site on a budget, there is nothing wrong with using a shared hosting plan. You do need to look a bit closer at the details: can I run cron jobs, do I have a C-Panel? In general, the lowest cost plans at all of the shared hosting companies will be insufficient for WooCommerce-based plugins like Prosociate. Best to look at the mid-level offerings. If you are starting a venture and hiring contract staff then you are a real business and should have managed VPS hosting. It is not that much more expensive and gives you the control you need to run your operation. If you are new to WordPress, do consider a managed WordPress offering like wpEngine. If you have the budget for a service like Kinsta, go for it! It is best to not skimp on your hosting and use the productivity gains to deal with content marketing, backlinks and other traffic generating tasks. We have reviewed many hosting companies and have thousands of affiliate marketing plugin and theme customers. This support knowledge and our reviews and experience were used to compile this list of recommended specific hosting plans for affiliate marketers. Sometimes funds are limited, been there. HostGator is one of the most reliable of the low-cost offerings. If you are just starting out or on a budget it is hard to beat Hostgator shared servers. One limitation for affiliates is that the shared servers, including the Business WordPress offering, have a 15-minute minimum interval for CRON jobs. There is also no root access to the WordPress Managed Server. If you want prices updated more often, or you or a developer need root access, then you may want to consider a VPS server. This is a key advantage of VPS, control, and access. You can upgrade from shared to VPS hosting at HostGator. Our recommendations for affiliates would be the Managed WordPress Business package or their low-cost VPS. Create A Website at HostGator For Just One Cent For Your First Month! Use Coupon: 1CENT.